How to Prevent Solar Heat Exchange System Corrosion? Indirect solar hot water system, the heat transfer cycle system needs to use the heat transfer medium, of the heat transfer system corrosion and prevention as many flat solar manufacturers concerned about the problem. This paper will analyze the causes of corrosion from many aspects and put forward preventive measures. Detailed Graphic Guide of Solar Water Heater Installation, Don’t miss it any more! Preparatory works1. Prepare construction tools: spanner, electric drill, screwdriver, etc.2. Open the package and check whether the accessories are complete according to the packing list. By installing Solar Water Heater in This Way, Make It Durable 10 Times Longer! Once there is the sun in winter, the solar water heater of average household actually can work. And had better make domestic solar energy water heater, it is to be in overcast day or rainy day or insolation intensity is weaker when can offer with hot water likewise. 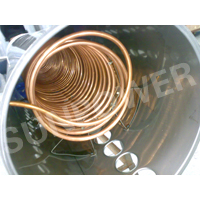 In general, as long as the perfect anti-freeze measures for solar water heaters, winter can be used at ease. 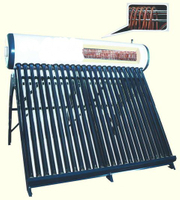 Something you should know before buying a solar water heaterSolar water heater working principleThe solar water heater is composed of tank and solar collector connected to tank. Solar water heaters convert sunlight into heat to heat water. 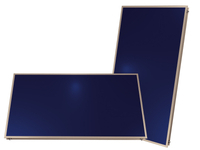 This conversion is mainly accomplished by solar collectors.